This project, created for USA TODAY NETWORK-Wisconsin, profiles recovering heroin addicts from across the state. See the published piece here. Moriah Rogowski lives in Green Bay but returns home to Mosinee to see her family and spend time on her family's property where she grew up. On a weekend trip in October, Rogowski took a friend's daughter Jehzelle Comic, 3, to ride a pony. 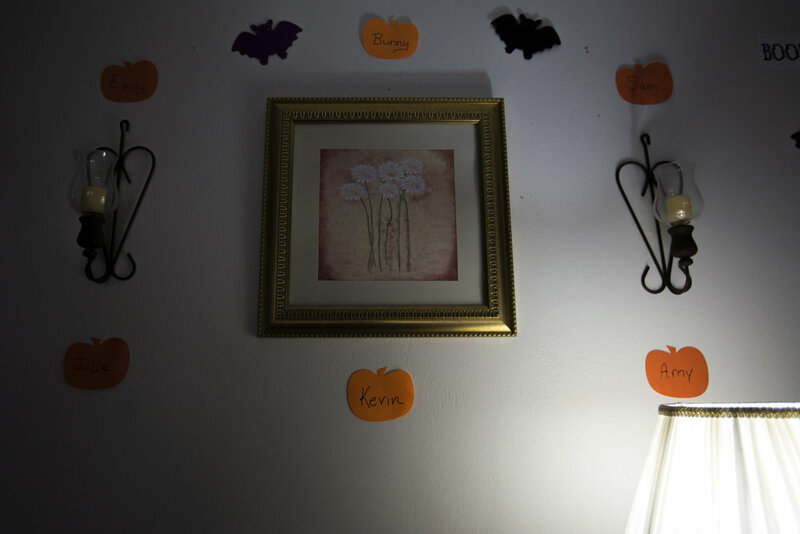 Family photos and memorabilia decorate the refrigerator in Rogowski's childhood home. Joey Powless lives on the Oneida Nation reservation with his two children. 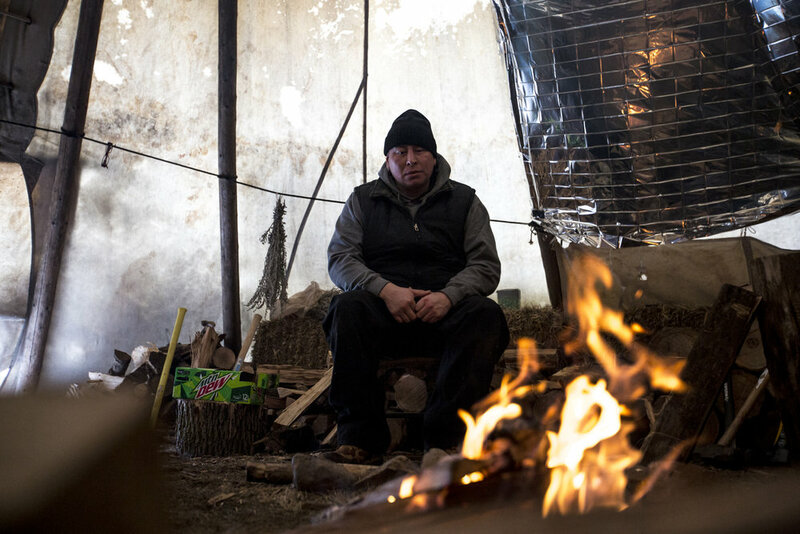 He helps maintain a sacred fire that has burned continuously since October. Addicts can come to the fire for support at any time. Vandehei tends to the fire inside the teepee in Oneida, Wis., Wednesday, December 13, 2017. Geronimo Powless, Joey Powless's father, watches the "sacred fire" in Oneida, Wis., Wednesday, December 13, 2017. Alysia Powless, from left, and Tina Christjohn, Joey Powless's girlfriend, laugh as Jojo Powless climbs through a window of his house after being locked out in Oneida, Wis., Wednesday, December 13, 2017. Jojo Powless lit the fire initially, which his father Joey Powless said was symbolic of the innocence of young people and the power they have to positively influence the community. Palmieri gets ready to leave for a Narcotics Anonymous meeting. Palmieri shows her arm that still shows marks from heroin use. She has been clean since November 2016. Palmieri turns to show her boyfriend Manuel Lopez a photo on an old cell phone of herself when she was using. Palmieri and Lopez went to the Portage County Jail to collect the things they had on them when they were arrested last year, which included a $20 bill, a credit card, and their cell phones that still had messages from their dealer on them. Palmieri and Lopez stand on their porch to say goodbye to friends from Narcotics Anonymous. Palmieri and Lopez drive home from the Portage County Jail where they collected the things they had on them when they were arrested last year, which included a $20 bill, a credit card, and their cell phones that still had messages from their dealer on them. Jodi Chamberlain gets ready in her home in Wisconsin Rapids, October 10, 2017, to go to court to relinquish custody of her two sons to her sister-in-law. Though it was emotional, she said, it's for the best because she can maintain a relationship with them while focusing on recovery. Kevin Williams looks out the window of the assisted-cate facility where he lives, in Wisconsin Rapids, October 23, 2017. Williams was incarcerated on drug-related charges when he found out he had a brain tumor. He suffered a stroke during the surgery to have it removed and lost some of his mobility. 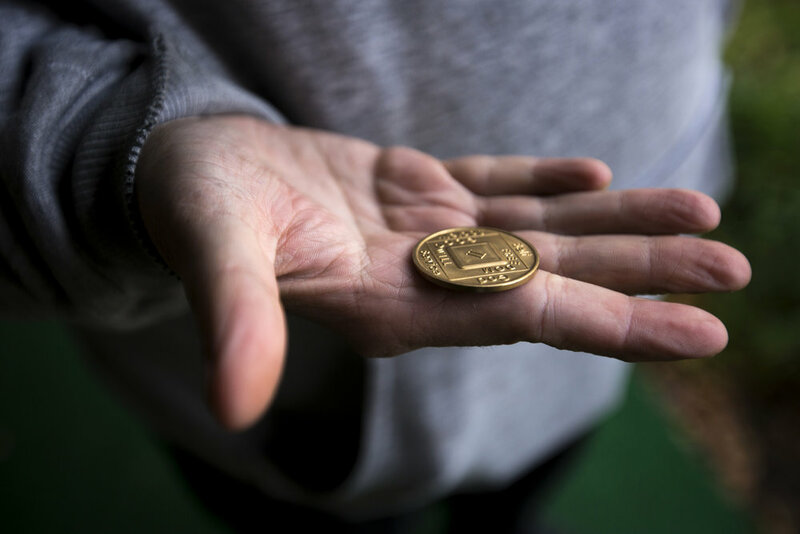 Williams holds a coin from Narcotics Anonymous. He has been clean for two years. The names of residents of the assisted-care facility where Williams lives decorate the wall. Tommy Casper plays on a recreational volleyball league, which is mostly other members of Narcotics Anonymous, at Game Day Sports Bar in Appleton, Wis., Wednesday, December 20, 2017. Tommy Casper plays with his nephew Owen Fritsch as his sister Carly Fritsch looks on in his home in Neenah, Thursday, December 7, 2017. Casper often spends time with his sister, who is also a recovering addict, and nephew after work. Jennifer Solis eats lunch at South Point Restaurant in Stevens Point, October 9, 2017. Solis lives at the Salvation Army in Stevens Point and works as a roofer when the weather allows. She hopes to go back to school for interior design. 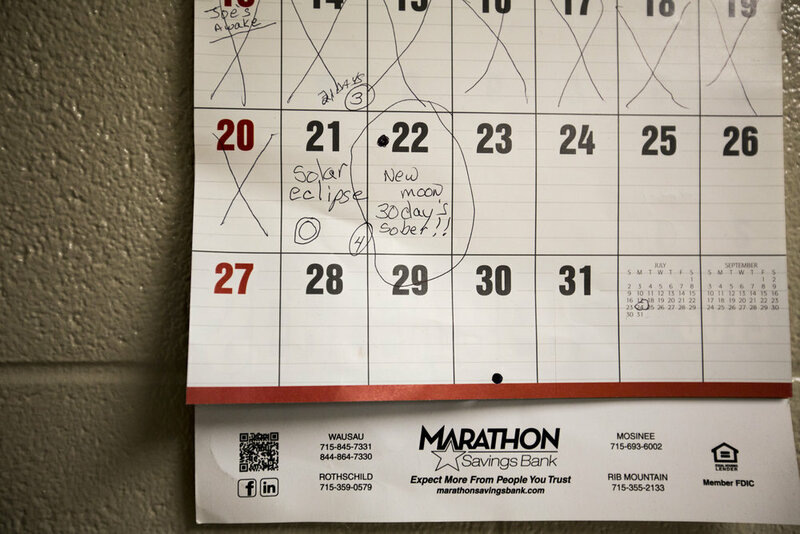 Solis stands in the room she shares with three other women in the Salvation Army. Nathan Scheer talks to family members and smokes an electronic cigarette in his home in Fond du Lac, Wis., December 26, 2017. Scheer became addicted to pain pills after a car accident. When doctors stopped prescribing it to him and pills became too expensive, Scheer tried heroin instead. Scheer's wife Julie spends time with their son Bentley in their home in Fond du Lac. They were married throughout Scheer's drug use, but she said she didn't know just how heavily he was using. Sarah Bear takes a moment to walk a therapy dog before her graduation ceremony from an in-patient recovery program in Wausau, October 6, 2017. 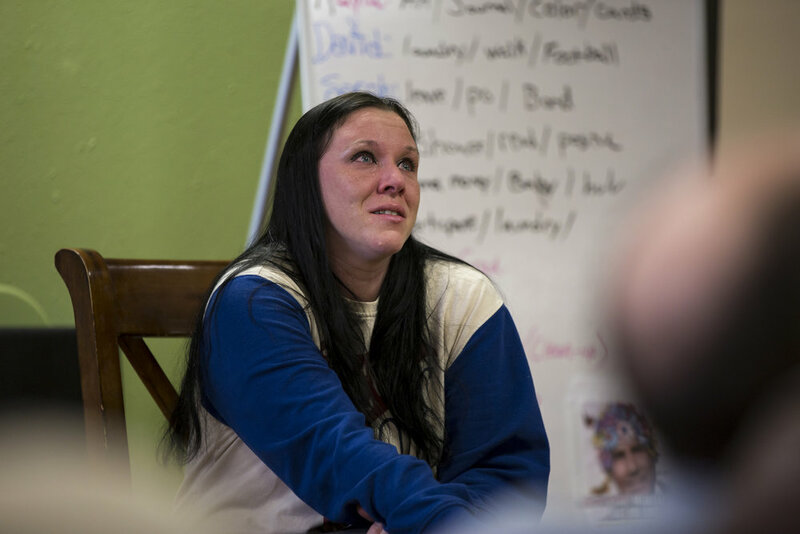 Bear has relapsed before but says this time she is hopeful that with support from family and friends, she will be able to regain control of her life and stay clean.